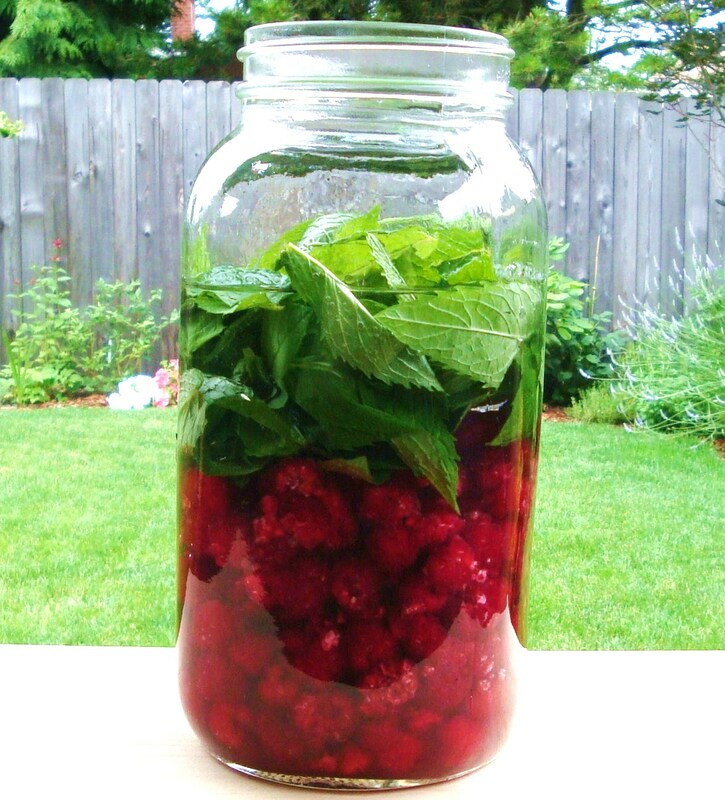 The first liqueur I ever made was Raspberry. I guess I should say the first four liqueurs I made were all Raspberry! 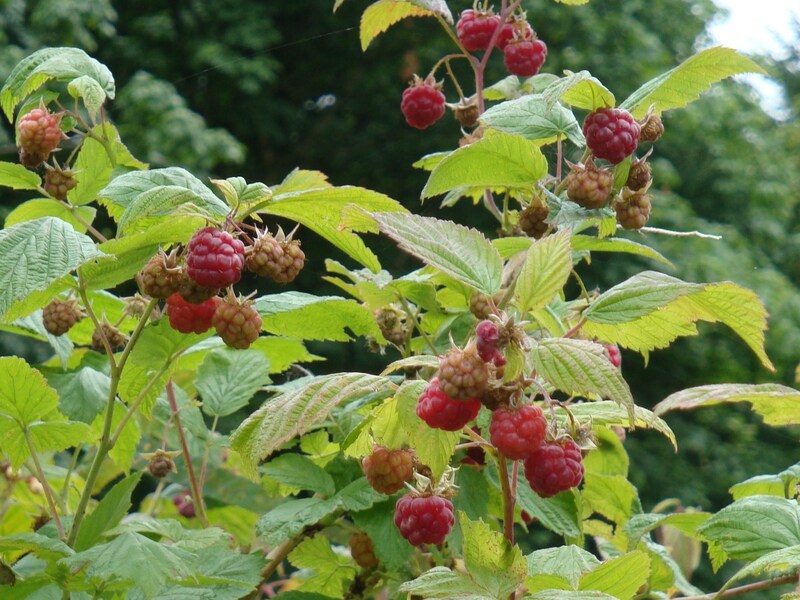 A few years ago, I went to my parents’ farm to pick some raspberries for jam. I came home with a LOT of berries. I made a few batches of jam, and it seemed like I had not even made a dent in the volume of raspberries. So I started going through my liquor cabinet, selecting anything that seemed like it would taste good with the berries. I ended up with Raspberry Vodka, Raspberry Brandy, Raspberry Cachaça and Raspberry-Mint Gin. I left all of the infusions in the back of our coat closet for three months. And by the time we filtered them, they were heavenly. 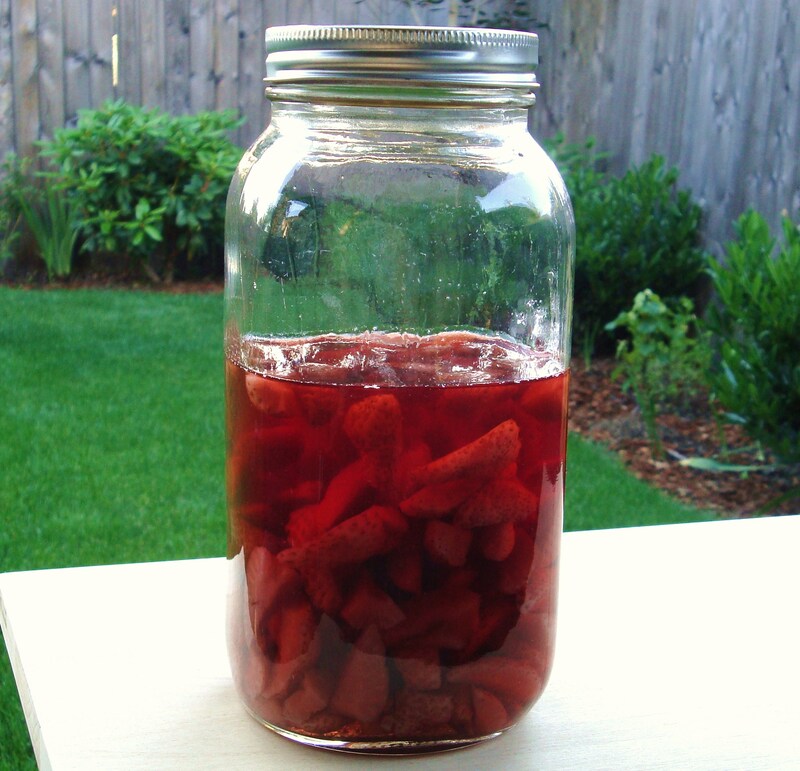 (Follow recipe for Simple Raspberry Liqueur below) Each year, the volume of Raspberry Liqueur in my pantry seems to grow. 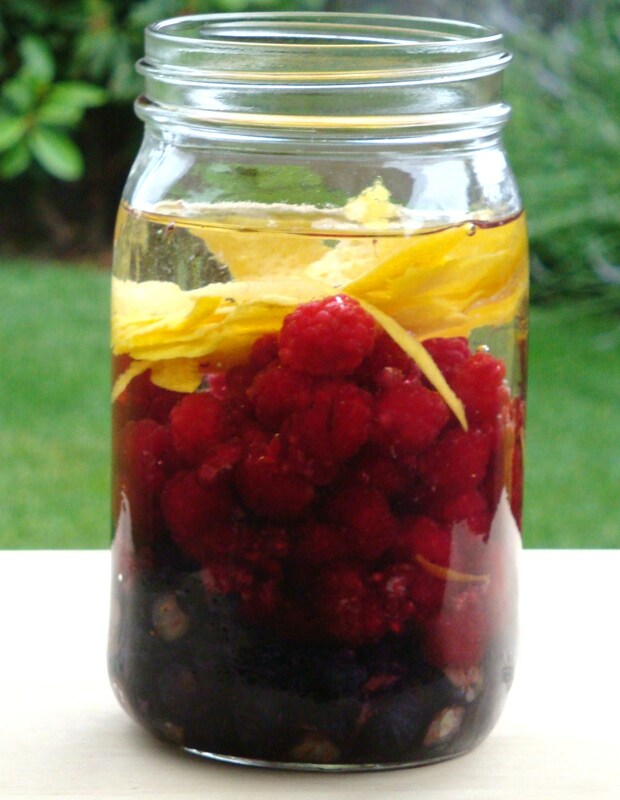 As I started to infuse a wider variety of ingredients, the Raspberry liqueurs have remained some of my favorites. 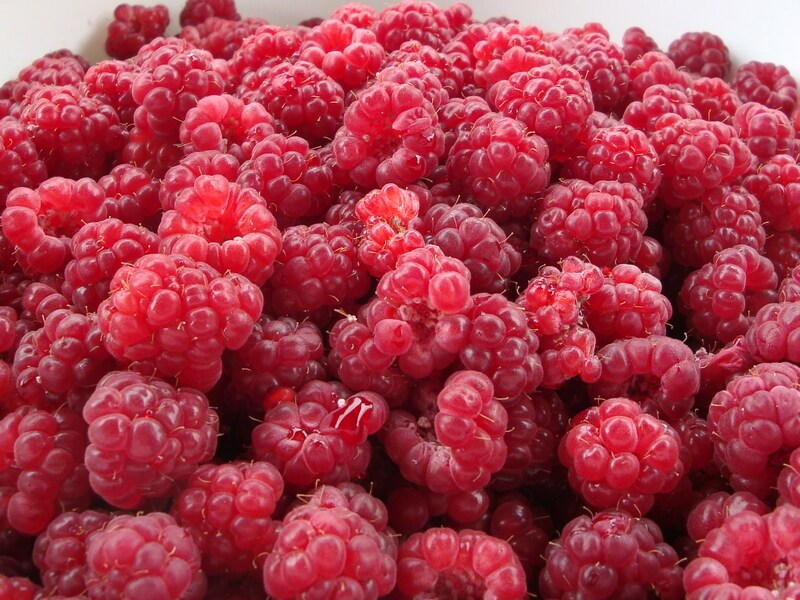 I ended up with about four pounds of amazing, sweet, delicious raspberries. 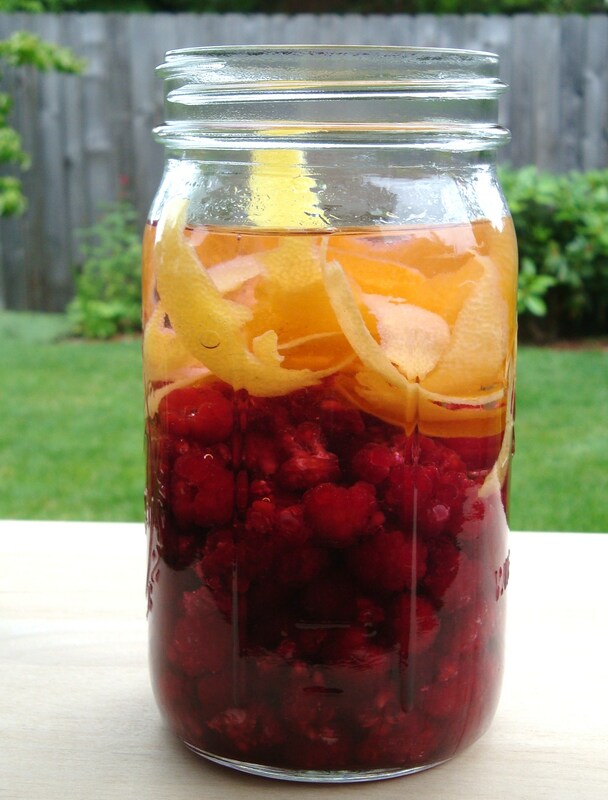 If you have never infused raspberries before, you are really missing out. These wonderful liqueurs really are a little splash of heaven. 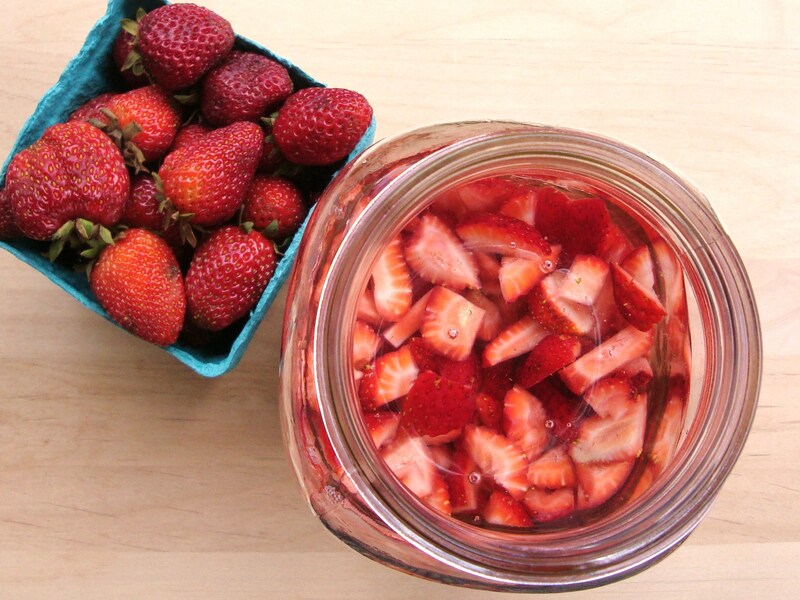 Combine all ingredients in a large glass jar. 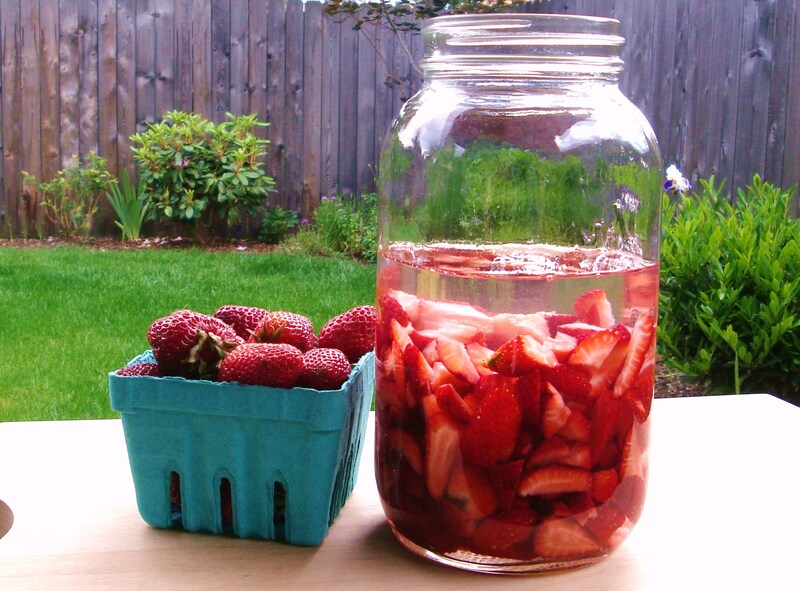 Shake or stir every few days, allowing to infuse for up to 3 months, or until it reaches your desired taste. Add more sugar if desired. Strain and filter well. The straining process can take a while with raspberries, but the jelly bag (or lots of cheesecloth) and coffee filters will produce a clear result. Follow directions above, same as Simple Raspberry Liqueur. This is a favorite of ours, and tastes amazing in a gin and tonic. This year I decided to try out some new variations and flavors. I don’t quite know how they will turn out yet… I guess we’ll have to wait a while before we know. 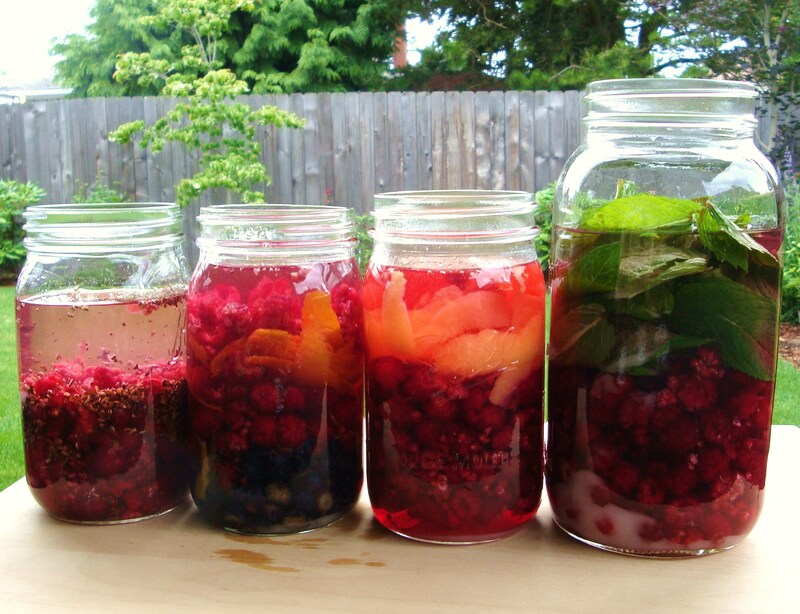 I hope these inspire you to get creative with your raspberry infusions as well. After these have infused for a while, we may alter them with more sugar or simple syrup. We also may add more zest if necessary. We will let you know how these new flavors turn out… but it may be a while before they are ready. We will try tasting them before the three months are up to see if they infuse quicker than we think. But I think they will need at least a month. 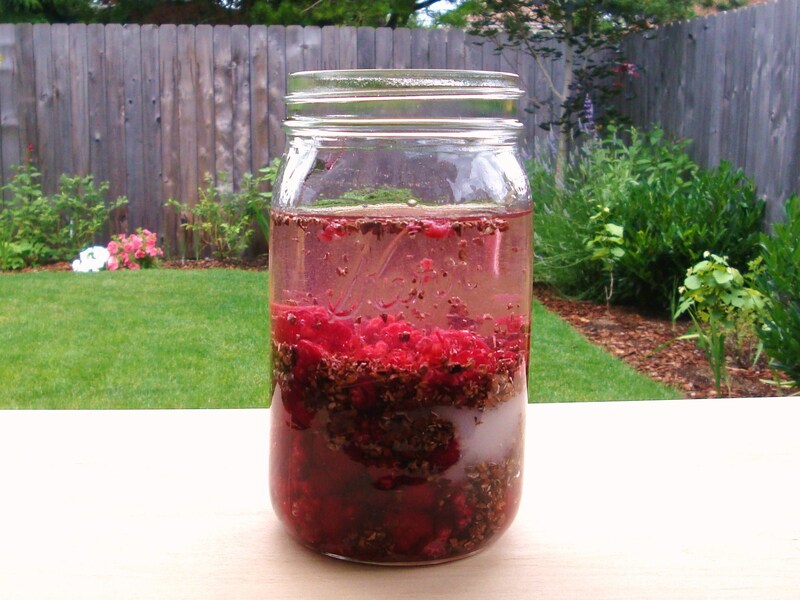 Do you have any raspberry infusion flavor ideas? What are your favorites? Update 7/12/12 Happy National Can It Forward Day! Visit great canning ideas at The Domestically Impaired Guide to Retro Kitchen Arts. 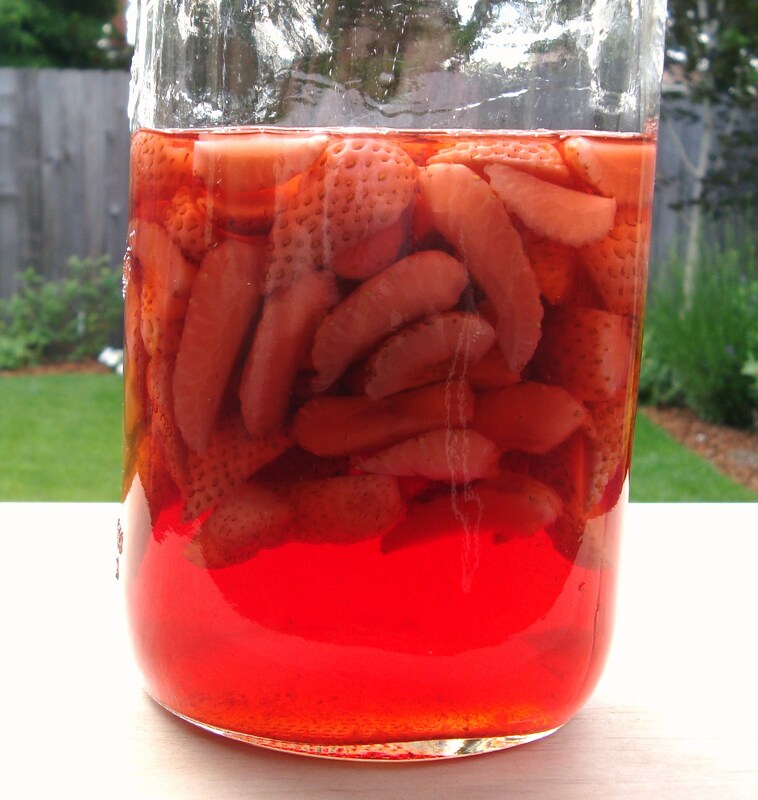 Categories: Infusion, Liqueur, Recipes | Tags: blueberry, cocoa nibs, gin, infusion, lemon, Liqueur, mint, orange, raspberry, recipe, rum, vodka | Permalink. I spent some time this weekend working on the landscape around our garden bed. This included laying sand, pebbles, cut stone, and ground cover. After the physical labor was done, it was time for a refreshing cocktail… and seeing as it was sunset, the Sunset Cocktail magically appeared on our patio. Add ice to glass, pour ingredients in order listed above. Enjoy! 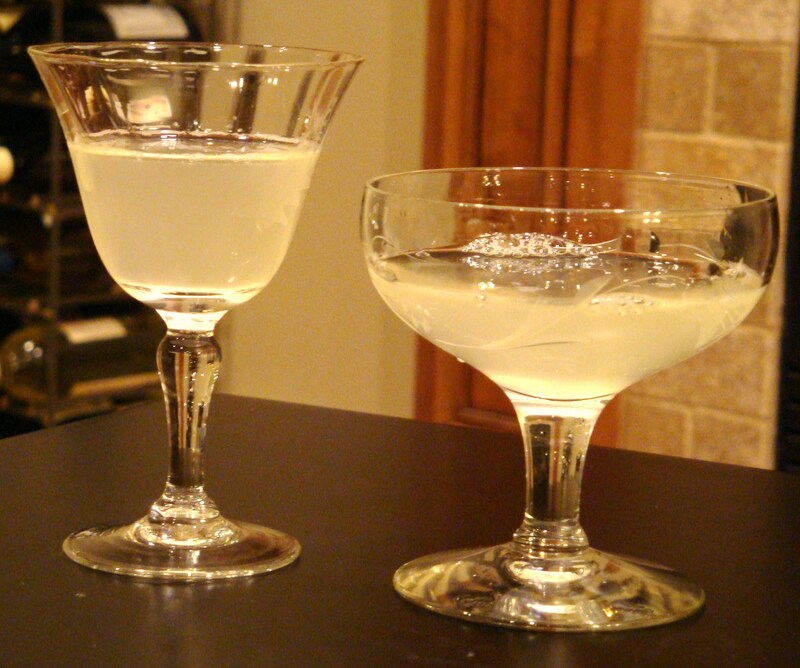 For the Hibiscus mimosas, try 2 oz OJ, 2 oz champagne, and 1/2 oz Hibiscus Brandy. 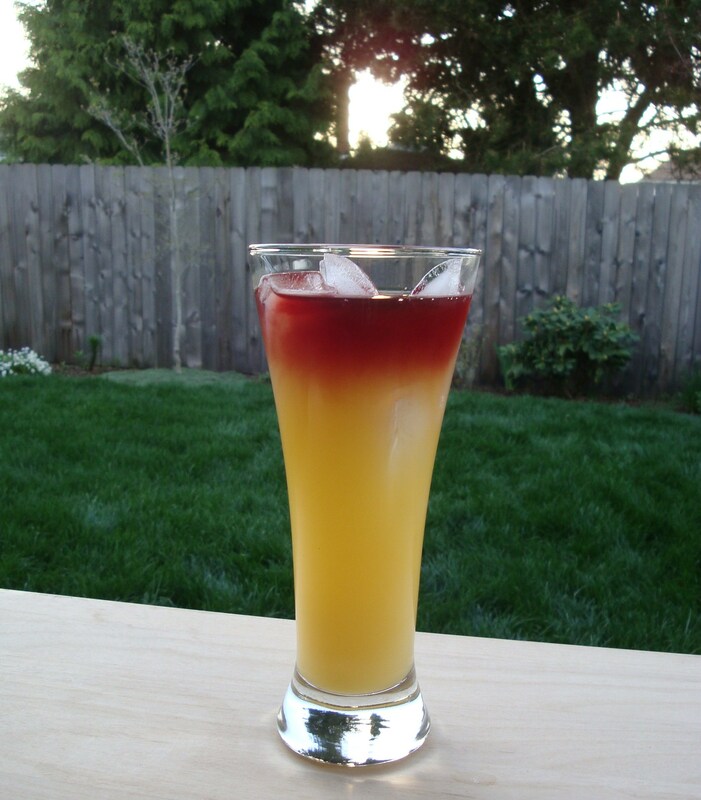 Categories: Cocktail, Drinks, Recipes | Tags: brandy, cocktail, hibiscus, orange juice, pineapple, recipe, rum | Permalink. This photo is thanks to my sister Anne, who lives in Minnesota and just happens to be making one of the same infusions as I am. Are you craving the warmth and sunshine of the tropics? I am… and truth be told, I will be in Mexico in a few days. In the meantime, I am infusing several tropical flavors. First on the list is Pineapple. We did a pineapple taste test; one with Rum, another with Vodka. They both turned out delicious. It was a hard decision to come up with a winner. Both my husband and I both chose the Pineapple Rum. Cut up a pineapple, place it in a jar, and cover with your choice of spirit. We infused for 3 weeks. After waiting (and tasting) for 3 weeks, we strained and filtered. 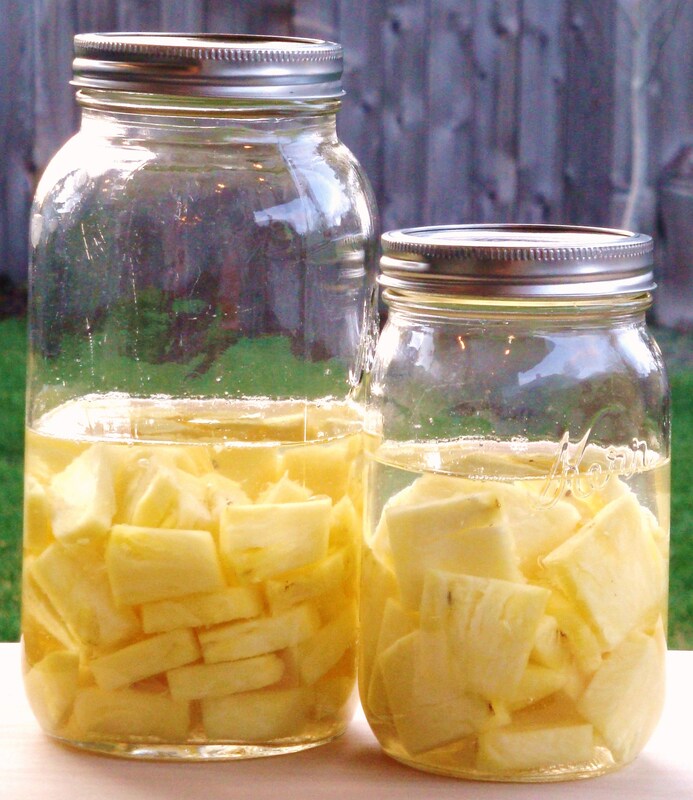 The pineapple holds onto a lot of liquid, so you will want to press and squeeze the fruit through cheesecloth. This added a lot more liquid. After filtering, we added 1 TB thick simple syrup to each cup of liquid for just a hint of sweetness. 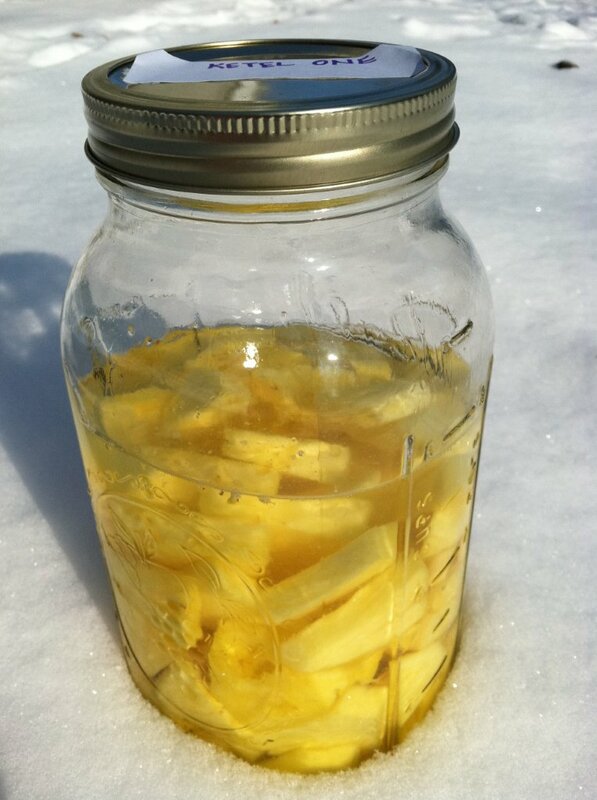 Categories: Infusion, Liqueur, Recipes | Tags: infusion, Liqueur, pineapple, rum, vodka | Permalink.